Dog Allergies - Does My Dog Have Seasonal Allergies? Dog Allergies – Does My Dog Have Seasonal Allergies? Many questions arise as a dog owner. Why is my dog sneezing? Why is my dog shaking his head? Why does my dog keep chewing on himself? The main question you must first ask yourself is: does my dog have seasonal allergies? If you get the answer to this question then you will most likely be able to answer all your other questions. In this article we will be discussing different signs that may tell you your dog has allergies. We will also be discussing which allergies are most common throughout the year, including spring and summer dog allergies. What are seasonal dog allergies? Seasonal dog allergies are allergies that become more present during certain seasons of the year. Allergies may be caused by pollen, dust, and grass among many other things. You can tell if allergies are present if you are seeing watery eyes, scratching, sneezing, rashes, and more. New seasons bring new allergies. Summer dog allergies may cause wheezing while winter allergies may cause sneezing. Seasonal allergies are not to be confused with environmental allergies. Environmental allergies may be caused by contact your dog may have had with perfumes, cleaning products, certain plastics, fabrics, dog shampoos, and soaps. Seasonal allergies should also not be confused with digestive allergies. These allergies are caused by foods your dog may be eating. Allergies to certain foods may cause your dog to vomit, have itching or swelling, or diarrhea. Inhalant atopic allergies occur when your dog inhales an allergen. A dog is considered atopic when the dog’s immune system overreacts to the allergen causing an allergic reaction. The allergic reaction usually consists of itching or respiratory reactions such as wheezing. This is considered a seasonal allergy because the inhaled airborne allergen is typically present during certain times of year. Mold, pollen, and dust are among the most common. The most common dog spring allergies are caused by the blossoming of flowers, grass, trees, weeds, and plants. Trees, grass, and weeds are the biggest culprits. Trees that pollinate in the Spring include Juniper, Alder, Ash, Oak, Maple, Elm, and Willow. 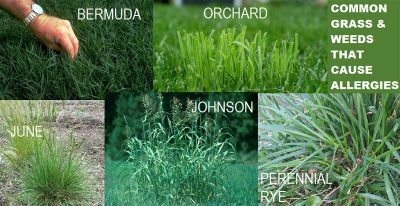 Grasses and weeds that sprout during the Spring are Orchard, Bermuda, June, Johnson, and Perennial Rye. When trees, grasses, and weeds pollinate they release pollen into the air. 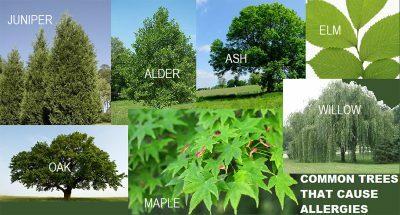 Below you can see a picture of the different types of trees we mentioned. When you know what the trees look like it is easier to identify them around your house or dog park. Although pollen gets carried throughout the air, it is best to keep your dog away from potential trees they may be sensitive to. Trees and grasses may vary depending on your geographical location which will influence your dog’s spring allergies. 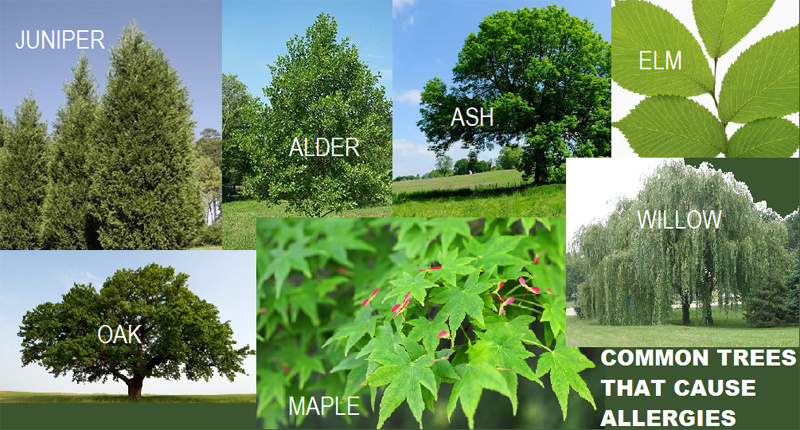 Ash trees, for example, are more common in the Northeast while Willow trees are more common in the Southeast. The most common dog summer allergies are pollen and mold. They are caused by trees, grass, weeds, and ragweed. Weeds and grasses are the biggest culprits. Pollen is released from the grasses and weeds as they grow and mature. Mold spores are released into the air from tree roots, plants stems, leaves, and mushrooms. The most common weeds that cause allergic reactions are Ragweed, Sagebrush and Pigweed. The most common grasses that cause allergic reactions are Redtop, Orchard, Sweet Vemal, Timothy, and Bermuda. Below you can see a picture of the different types of grasses/weeds we mentioned. Again, when you know what the grass/weed looks like it is easier to identify them around your house or dog park. It is best to keep your dog away from potential grasses/weeds they may be sensitive to. Weeds and grasses may vary depending on your geographical location. Be aware of allergic reactions to bee stings during the Summer time too. Some dogs can get stung without getting an allergic reaction. They only experience some redness and discomfort. Other dogs experience allergic reactions such as swelling. 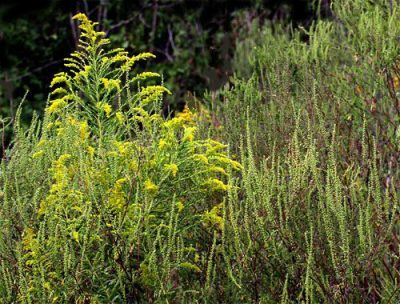 The most common dog fall allergy is Ragweed. Mold from falling and decaying leaves also becomes present. If you think your dog is allergic to mold and/or ragweed then be sure to keep him away. Try to walk your dog on paved walkways, the beach, or pavement rather than out in the park or hiking trails. If you see your dog’s allergies start to improve then they may have been allergic to the mold or ragweed. If you live in a colder climate chances are there isn’t any blossoming plant life outside to worry about during the Winter which means your dog’s winter allergies should not be much of a concern. If you live in a climate that is warm year round then you want to focus on the allergens we previously mentioned. They can be present year round in warmer areas. If your dog is experiencing seasonal dog allergies during the Winter it is most likely mites, dust, smoke, feathers or indoor mold. Make sure you vacuum regularly to eliminate mites and dust. Smoking around your dog is not recommended, especially if your dog has an allergy to smoke. Check to make sure your dog’s bed, pillows, and blankets are not filled with feathers which may cause an irritation. Linens marked with the word down contain feathers. Indoor mold may be present in your house if you have experienced any sort of water damage or ventilation issues that cause moisture buildup. Ears – Your dog may be scratching or rubbing his ears to satisfy itching. Infections in the ear may be present if your dog has scratched enough to cause a sore. Fluids may also build up in the dog’s ear causing an infection. Head – Your dog may have red, watery eyes. Your dog may be sneezing and/or have a runny, wet nose. A rash may be present on your dog’s head or around his eyes. 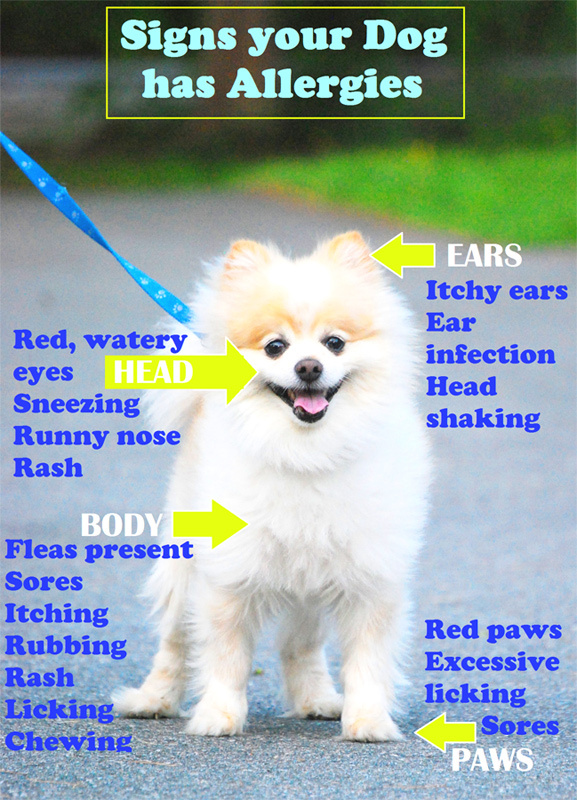 Hearing your dog wheeze or cough is also a common symptom of dog allergies. Your dog may be constantly shaking his head to relieve itching. Body – Your dog may have an itchy, red stomach. A rash may be present. Constant licking, rubbing, or chewing on certain body parts may occur. Dogs lick and chew on themselves to try to relieve itching. Fleas may be present on your dog’s body. Fleas are considered a seasonal allergy because they become more present during the warmer, more humid months. 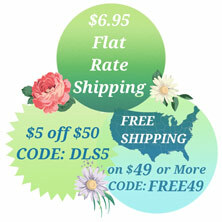 Fleas are most active in 70 to 80 degree weather with 70% humidity, according to canidae.com. If your dog scratches in excess, sores may become present on your dog’s body. Paws – Symptoms on the dog’s paws are similar to the dog’s body. Your dog may have red paws and/or sores from scratching too much. Your dog may try to chew or lick his paws to relieve itching. There are several solutions the Vet may provide depending on their testing and diagnosis. Mild to moderate seasonal allergies may be treated with Benadryl or a similar antihistamine. Itching is often accompanied by inflammation and red skin. Your Vet may suggest giving your dog an omega 3 supplement. This will help decrease inflammation. Omega 3 also helps improve your dog’s coat, skin, and immune system. If your dog is having a severe allergic reaction, your Vet may give your dog cortisone shots. Cortisone is an anti-allergen and anti-inflammatory agent. It is stronger and works more quickly than oral medication. If your Veterinarian sees fleas, your dog will most likely be given a bath with anti-flea shampoo along with flea medicine to take regularly. It’s important to get your dog tested, examined, and diagnosed at the Vet before you start any sort of treatment, medication, or supplements. Here are a few steps you can take to see if there is any improvement in your dog’s allergies before going to the Vet. Vacuum, dust, and clean. We know this isn’t anyone’s favorite item on their to-do list but it could provide great results. If your dog is having an irritation to dust, cleaning could eliminate the problem. Give your dog a bath. Your dog may have rolled around a few too many times out in the grass full of pollen or the leaves full of mold spores. Dogs can also be affected by poison ivy/sumac/oak. Skin that is not covered by their coats, like their belly, can get a rash. Giving your dog a bath will wash away any allergens from his coat. Poison ivy will take some time to go away. Make sure your dog does not scratch too much causing open sores. Try an air purifier. Air purifiers can be expensive but if you already have one in your home you can make use of it. Move the air purifier into the room where you think the culprit, like dust or mold spores, may be. Air purifiers are great at removing odors which will help if your dog is having a reaction to a perfume or an airborne chemical/cleaning spray in your home. Keeping an eye on your dog while he is out in the yard will give you a better idea of where his allergy may be coming from. It’s also a good idea to take note of where your dog spends the most time inside your house. If your dog’s bed is over near the baseboard or the bottom of your bed, take a look around to see if there is dust or some other allergen. Paying mind to your dog’s actions, whereabouts, and body will provide the most information when trying to come up with a correct diagnosis.